Country style is a specific style that is really popular in the U. S. and it is possible that you would like to use the same style in your home. Although children usually prefer the modern designs, there are some country styles that they would like as well. 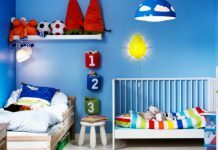 If you have two or more children who are sharing a bedroom you should make sure that you stick to only one style. Naturally you could have some slight variations but there should be consistency in the overall look. For instance you could have two metal frame beds in white, but they could have different designs. 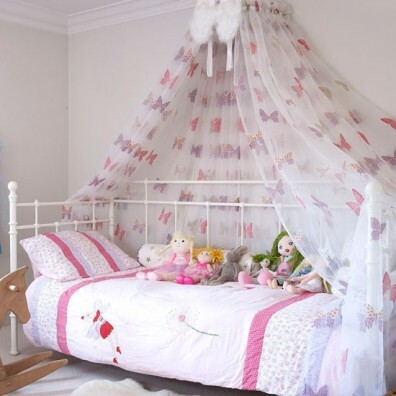 For this look you should have a white metal frame bed and drape over it sheer fabric curtains that come with a butterfly print. This way you can achieve a floaty and light effect. The bed linen should also come in pink or purple colors for an enhanced effect. 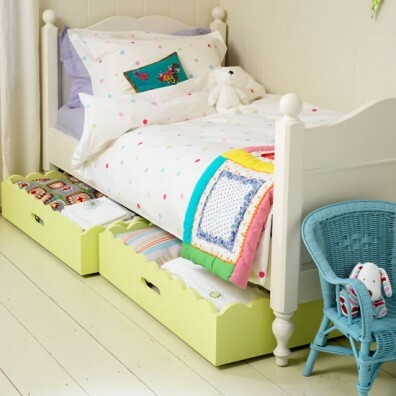 You can store the toys, bed linen and towels under the bed. This way there will be more space in the rest of the room. For this you should get a couple of decorative storage boxes and paint them in a vivid shade. This color should be different from the colors used in the rest of the room for a contrast. 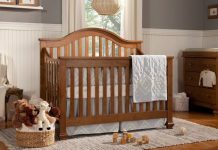 For a nice effect you should paint the nursery in a warm white shade. The rest of the furniture should also be white. Add some colors through other objects, like decorative elements. The white items will blend in with the new styles that you will use as the little one grows. 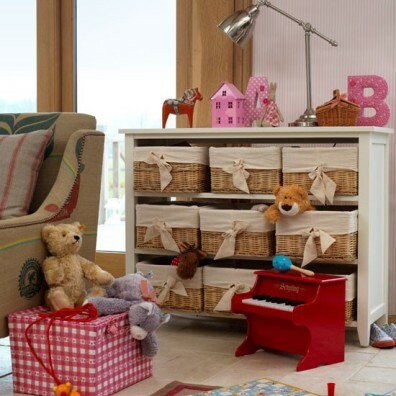 You could store the toys in country style baskets. The storage unit is just perfect for the country style. The rattan baskets should have cotton lining that is removable and washable. To store the clothes there is need for hanging space and drawers that will offer enough space for all the clothes. You could label the cabinets and drawers according to their contents with stickers or stencils for a neat effect. 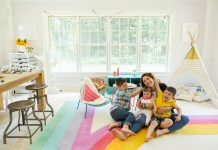 Next articleWhat Is the Best Home Security System for You?